The largest of the Hebrides, the Isle of Skye can be a dramatic and remote place - like the end of the world, if you want it to be. Mist shrouded hills even out into heather clad moors, then rise up again into the jagged Cuillin Mountains before tumbling steeply into the sea. But if you stay in Portree, the island's capital (and one of the best places to stay in Skye), you'll be in Scotland's third most popular place to visit - and close to the castles, museums and cosy pubs. If you're coming to Skye, be prepared to head outside. What's more, be prepared for the weather to be changeable. Sun, wind and rain can all appear in a matter of minutes before disappearing again so it's always a good idea to have a jacket on hand! Don't worry though, the scenery makes it all well worth it. One of the island's main landmarks is the Old Man of Storr, a 50metre high pinnacle of rock six miles to the north of Portree. In a landscape of impressive basalt peaks, The Old Man stands out as so pot-bellied and piercing as to be virtually unclimbable. Just to the north of The Old Man of Storr is Kilt Rock, a basalt cliff, which has pillars which make it look like the folds of a kilt. The Quiraing, a basalt escarpment of pinnacles around Staffin Bay, is another of Skye's natural highlights. So is the Fairy Glen, but this time for the opposite reason - it's not vast and craggy, it's on a much smaller and more rounded scale with small, conical hills around ruined cottages - a curious and atmospheric spot. Skye's other wonders are its native inhabitants. The flora can be breathtaking and impressive for its resilience, but it's less famous than the fauna such as Skye's Golden Eagles, Red Deer and Salmon. If you're loving the landscape but you fancy some time indoors, visit the Gallery An Talla Dearg, which exhibits works inspired by this landscape. And the Talisker Distillery - if you take a guided tour you'll receive a free dram of their smooth, sweet single malt. Don't forget that the island is a seriously popular destination! If you want to ensure a room in one of the best places to stay in Skye during the peak summer season, you'll need to do your homework and plan months ahead! Alternatively, visit in the quieter months, when the crowds have dissipated and you can truly appreciate the stunning landscape and all it has to offer. 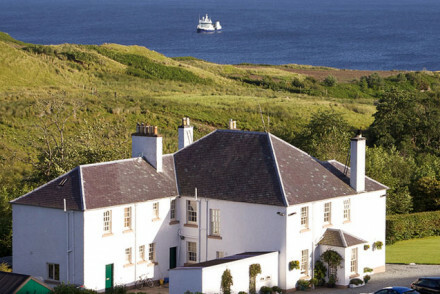 Greshornish House is a remote but luxurious B&B, situated on its own private peninsula and surrounded by ten acres of land. The views are incredible and the decor is rustic and charming. There are just eight rooms, so it's a wonderfully peaceful stay. Hillstone Lodge, wonderfully modern in design, boasts a splendid setting overlooking the wild landscape of Skye. Just a short stroll from the coast, this 3 bedroom property features smart contemporary design and decor. 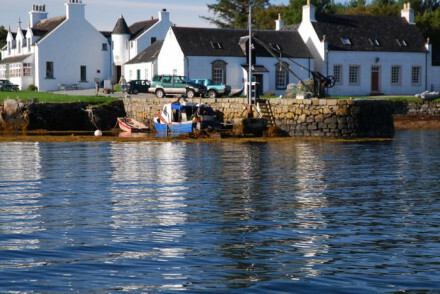 Coruisk House offers just two bedroms and is well tucked away on the peninsula of Elgol. This is primarily a restaurant, so the food is good. The rooms are stylish and comfortable. Plus, you’re right by the Cuillins and an impressive neolithic stone circle. 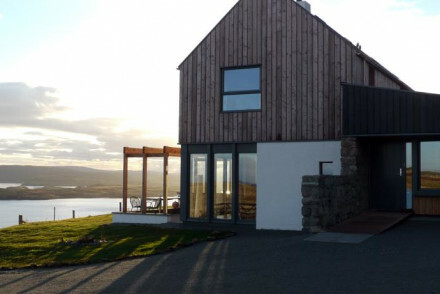 Toravaig House is a peaceful, contemporary hotel with views over the Atlantic. Enjoy a choice selection of whiskies beside the cosy log fires, and you'll love the excellent seafood restaurant. Great for fishing both trout and salmon. 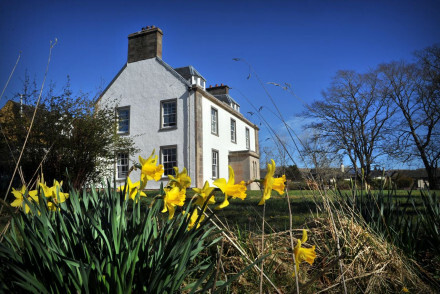 Duisdale House is a rural escape converted from a 19th century hunting lodge on Skye’s stunning southeast coast. There are 18 rooms, some with four-poster beds, as well as beautiful gardens and lovely views. 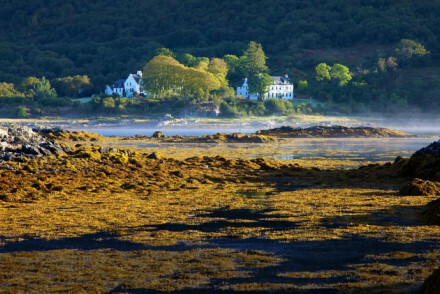 Kinloch Lodge, located on the south coast of the island, is an old hunting lodge turned country hotel. Home comforts here are accompanied by Michelin starred cuisine. It's a real home from home, just with much better cooking! 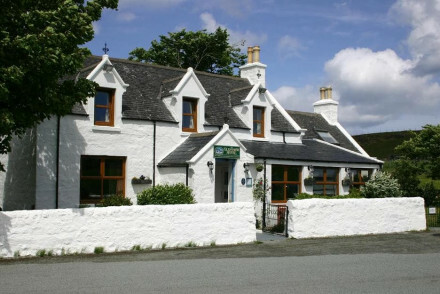 The Hotel Eileen Larmain is a lovely, 16 room hotel on a small harbour overlooking the Sound of Sleat. Each of the rooms has been individually decorated and most of them have beautiful views. The hotel restaurant is much lauded, known for its seafood and game. Woodbine House in Skye's northern village of Uig, is a delightful five room B&B - there’s one family suite - with a homely feel. The owners are friendly and the location is excellent. Rooms start from around £70 a night. 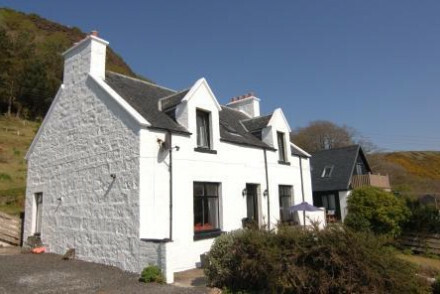 Glenview is a charming B&B, some 15 miles north of Portree This property has just three cosy rooms, with stunning views of the Trotternish peninsula, and a superb restaurant known for creating wonders with local produce. Plus there's an on site Art Gallery with ever changing pieces to admire. Rooms start from £90 per night. If you'd rather a more self-sufficient stay in a cottage or an apartment, visit our online booking partner booking.com, where you'll find a wide range of properties to check out. The nearest international airport is Glasgow (about 216 miles from Portree) and the nearest local airport is Inverness (about 115 miles from Portree). If you're coming from the mainland you can take a ferry from Mallaig to Armadale, run by the Calmac company, or you can drive over the Skye Bridge. City Link also offer coaches from Glasgow and Inverness to Skye. It's best to visit Skye over the summer months, especially in August where the average temperature will range from roughly 11°C to 16°C. For car hire prices, we recommend you visit our online partnerRentalcars. It is worth noting that if you are planning to drive round Skye, the majority of the roads are single track. So be prepared for slow progress during the peak season! 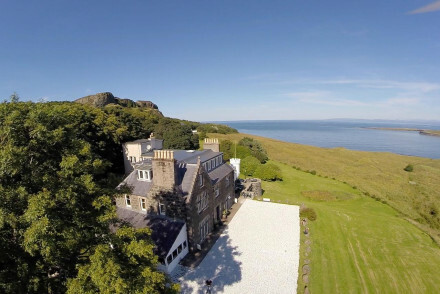 Still not sure which is the best place to stay in Skye for you? Browse through our list of the best places to stay in Skye. Check out all our recommendations in the Highlands and Islands. 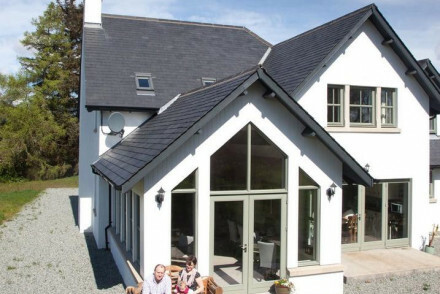 Hillstone Lodge offers refreshingly modern accommodation, overlooking Skye's wild landscape. Designed with stylish elegance, the rooms offer excellent sea views. Just a short walk from the coast, it's perfect for a quiet relaxing retreat. Country Escape - The perfect cosy base to return to after a day exploring around Dunvegan and wider Skye. Active Holiday - Hill walkers and mountaineers will cheerish Skye's superb mountainous landscape. Great walks - Make the most of the excellent walks all along the nearby coastline. Sailing - The perfect port of call for a sailing trip around the Hebrides. A stylish hotel in a Georgian farmhouse with lush gardens and stunning views to the sea. Featuring a chic colour palette of slate greys with touches of sea blue and gorse while simple rooms are smart and cosy with fitted carpets and throws. Don't miss the top-notch cuisine served in the restaurant! Canowindra B&B is a charming guesthouse just a couple of miles south of Portree. Peace and tranquility is ensured with a quiet location, excellent rooms and ever helpful hosts who are always on hand to point you in the direction of a good walk. Local exploring - A great base from which to explore the stunning Isle of Skye. Fishing - Your hosts can point you in the direction of some nearby hill lochs full of brown trout. Great walks - The surrounding landscape is full of wonderful walking routes. Sights nearby - Visit the beautiful nearby Dunvegan Castle. Tucked away on the picturesque peninsula of Elgol, Coruisk House offers a superb restaurant with elegant rooms sleeping up to 10. Two doubles and two suites are stylish and comfortable with warm colour schemes and luxurious furniture. For intrepid mountaineers the nearby Cuillin's lie in waiting. Local exploring - Perfect for exploring the south coast of Skye with cosy beds and hearty meals waiting for you on your return. 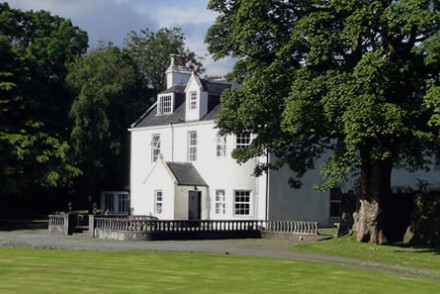 Country Escape - This stylish hotel makes the perfect bolthole for a rural escape to the rugged, wild landscape of Skye. Sights nearby - Historians will enjoy visiting a local Neolithic stone circle, several chambered cairns and the High Pasture Cave. Birdwatching - Birdwatchers can go in search of golden eagles and peregrin falcons. 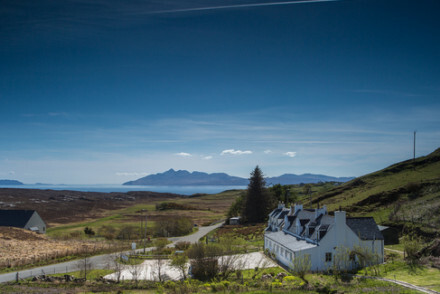 Tucked away on a peninsula, this hotel and restaurant have breathtaking views across the sea to the Wester Ross mountains. Interiors reflect the wild landscape, with a palette of greens and browns and the use of natural materials. Rooms feature four posters and large windows to enjoy the views from. 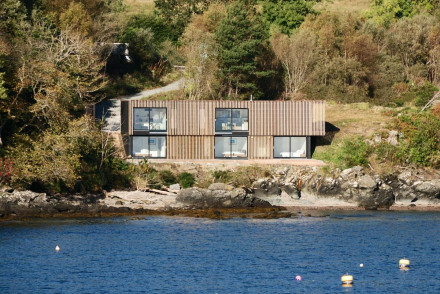 A sophisticated B&B cabin right on the edge of the Sound of Sleat with wonderful views of the sea. The luxury minimal design is very chic with floor-to-ceiling windows, king size beds and white on white style. Expect a gourmet breakfast from the former-chef host, and the local pub serves good food. 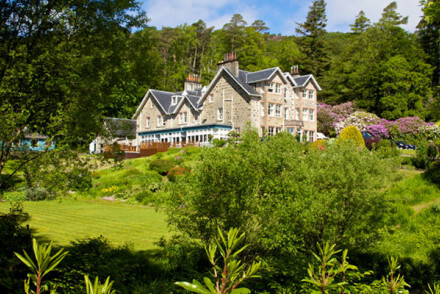 A lovely hotel on a small harbour overlooking the Sound of Sleat. The individually furnished rooms are cosy and comfortable with many boasting great views. The standout feature is the hotel's heralded restaurant which focuses on local seafood and game. A remote gem. Hideaway - The perfect spot to getaway from it all, overlooking the Isle Ornsay lighthouse and the hills of Knoydart across the sea. Beach Life - Explore the stunning secluded beaches on Skye, with the nearest just a minutes walk from the hotel. Birdwatching - Skye is a great place for birdwatching especially puffin watching. Fishing - Take a sea fishing trip off the coast of Skye. 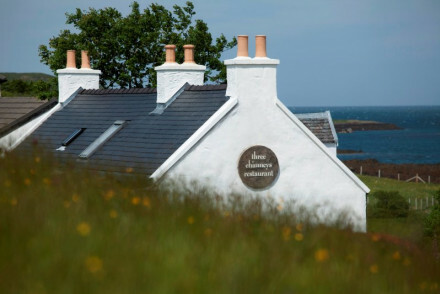 Home to lovely rooms and a magnificent restaurant, The Three Chimneys and The House Over By is a superb hotel on the Isle of Skye. Elegance abounds with its tastefully decorated rooms and stylish restaurant overlooking the sea. Great walks - The surrounding area is full of beautiful walking routes. Kayaking - Take the sea kayaks out and explore the Skye coastline. Sights nearby - Visit nearby Dunvegan Castle.